Definiton non-answer – An answer which is not actually an answer, it does everything except answer the question actually asked. Understanding this art and you understand how Indian Politics and the Indian bureaucracy works. I was reading an article about nations and most of all my own country is getting into a well of authoritarianism and a cycle of fear and non-answers being generated by the present dispensation. While I believe myself to be partly at fault for being self-censoring, I would try to share some of the issues which have been lying dormant in myself for quite some time. To start with, there were couple of questions asked by my economic professor when I was studying Economics almost 20 years back. 1. Why do people like status-quo so much ? b. People do not know how the change will affect them. perceived while the other part is hidden. I understood what he meant by it. I am going to use Indian Railways to explore the ‘Follow the money model’ way as I have loved Indian Railways since my childhood and it is also pertinent to majority of Indians who have the only means of cheap transport to go from A to B. Before we get to the present condition, a bit of historical reminiscing is important. 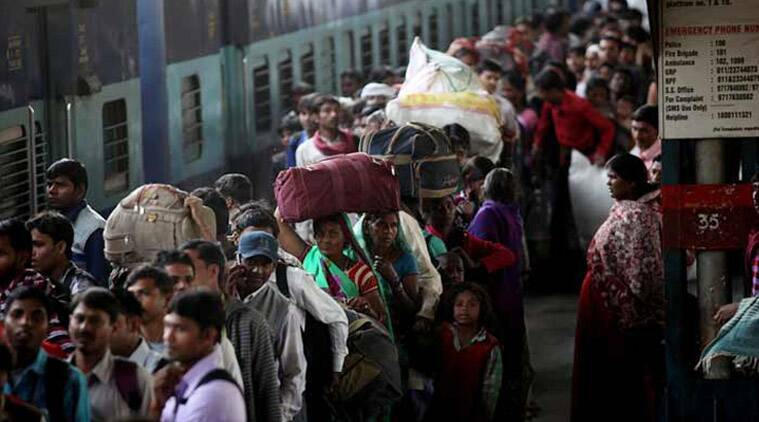 Now the Indian Railways has been like the son which was never wanted since it’s birth. The British made lot of investment when they were ruling for their own benefit, most of which is still standing today details the kind of materials that were used. Independence and Partition were two gifts which the English gave us when they left which lead to millions of souls killed on either side. I wouldn’t go much into it as Khushwant Singh’s ‘Train to Pakistan‘ . It is probably one of the most hard books I have read as there are just too many threads to grasp and one is just unable to grasp the horror that Partition wrought to the Indian subcontinent. The reason I am sharing about Partition because trains were the only means for lot of people to cover huge distances in those times. After Partition, when Pandit Nehruji became the P.M. the constitution he along with many leaders with Dr. Babasaheb Ambedkar (who is known as the Architect of the Constitution of India) wanted to have a secular, socialist India which would be self-sufficent in nature. The experiment which was also tried later by her daughter Mrs. Gandhi and later his grandson Mr. Rajiv Gandhi. All of the Prime Ministers did lot of investment in whatever they thought was best for the country except for Indian Railways. Especially from 1980’s onwards there was a dramatic shift (downwards) in creation of public infrastructure, especially the Railways even though the Governments knew we would be a young country in the coming years. Before India’s Independence , India was a collection of several princely states consisting of today’s India, Pakistan, parts of Burma, Nepal so when the British came with the Rails, it was an innovation. During the period as the spread of Railways grow, three different railway systems were spawned on the gauge width, the Narrow Gauge, Standard Gauge and the (Indian) broad gauge. Wikipedia has a nice article about the different gauge networks so would leave it to them. In the 90’s apart one of the dramatic change was from socialism to capitalism (as a policy initiative) and limited entry to foreign capital in specific sectors, one of the good intentions was the Project Uniguage for Indian Railways which was supposed to be finished by the end of the century has still not been done till date. The other thing which was supposed to also happen is the impetus on Electrification of Indian Railways which is still far from over. There is lobbying from the diesel lobby at least in the locomotive space. As almost all the locomotive designs have been bought from various foreign vendors and then Indianized, they do not want their interests to be diluted. – Copyright – Times of India. As can be seen the biggest expenses are travel and eating out. In most developed economies, the share of travel expenses is not more than 4% of a typical household budget, but as can be seen for Indians the proportions are much more higher. The Indian Railways has been the worst performer as far as on-time performance is concerned, at least since the present dispensation has taken over. So who gains, if trains run late, the private buses and Air Services. The private bus transport have known to raise prices every year, especially whenever holidays or festivals happen. The same is the case with Airfares as well and is common occurrence and doesn’t register any shock anymore. There is a proposal to give fair compensation in cases of issues of flight delay and flight cancellation somewhat like what is available in European sectors but most operators say it will inevitably lead to higher fare prices across the board. The airport infrastructure is also under severe strain while clocking increasing growth as people look to be at places at appointed times. The growth has been amazing while the on-time performance has been going in the opposite direction due to poor planning and mis-management. We need to have more CISF personnel and much wider airports (both land-side and air-side) to accommodate the increasing number of people traveling. Just yesterday came across an interesting article on civil aviation which brings out all what I wanted to share and more. I could share quite a lot of operational and policy issues but that might be boring for people who are not rail-fanners. I’ll just end with the simplest station that if you look at the work of at least the last couple of decades of Indian Railway Ministers, most Railway Ministers would present budgets where the emphasis was more on getting new railway services and something like 3-4% budget increase in creation of infrastructure which many a time will be lying unused without proper explanations or a non-answer. The only bright spot seem to the Dedicated Freight corridors which hopefully should increase Railways freight earnings and give more space for maintenance to happen on Indian Railways. The freight share of Indian Railways which used to be 90% has now shrunk to less than 18% due to number of reasons, among them opening up the freight sector from railways to roads, putting freight on passing loops and making freight a second-class citizen on railways, although roads have their own issues. A Livemint report couple of years back also shed some light on the situation. On passenger front, only metro railways have some sort of good news but not enough. I am just hanging on hope as until we don’t value-add and move up in the value-chain on exports don’t really see India doing well. There are a lot of challenges as well as opportunities for whichever Government comes next, have been thoroughly disappointed with the performance of the present Government in everything, including International Trade which was supposed to be unlocked by the Present PM. Some of the content may be NSFW. viewer discretion advised. I have had a life-long fascination with trains. One of my first memories was that of 5-7 year old, clutching my mother or grandmother’s hand seeing the steam engine lumbering down whistling and smoking at the same time. I was both afraid and strangely drawn to the iron beast and the first time I knew and then slowly understood that if we come with luggage and the steam-engine comes, it means we are going to travel. To add to the above, it is still cheaper than air travel, although that is changing a bit as Indian Railways seeks to modernize Railways and make it into world-class bullet trains. Indian Railways has a long, rich culture and some of the most interesting nuggets you learn over time adds to the fascination of the Railways. For instance I’m sharing this letter which I read first in book and then saw in the New Delhi Railway Museum. The letter I am sharing below was written by a certain Shri Okhil Chandra Sen to the Sahibganj Railway Office in year 1909, almost 38 years before India became independent. “I am arrive by passenger train Ahmedpur station and my belly is too much swelling with jackfruit. I am therefore went to privy. Just I doing the nuisance that guard making whistle blow for train to go off and I am running with ‘lotah’ in one hand and ‘dhoti’ in the next when I am fall over and expose all my shocking to man and female women on plateform. I am got leaved at Ahmedpur station. For the plane bit, most of my flights have been domestic flying. Some of my most memorable flights is when flying from Mumbai on a clear sky overlooking the Queen’s necklace, loving it and landing in Bangalore during mist or rain or both. Delhi is also good as airports go but nothing much adventurous about it. It was only with the experience of my first international flight, I realized the same feeling again, nervousness and sense of adventure as you meet new people. Nowadays every week I do try and broaden my horizon by seeking and learning a bit about International Travel. In this I came across an article on National Geographic site which also evoked similar feelings. While I can’t go back to the past and even if I did (in distant past before I was born), I wouldn’t want to improve my financial situation at all (as otherwise I would hit the Grandfather Paradox or/and the Butterfly effect (essentially saying there’s no free lunch), it still makes you wonder about a time when people had lot more adventure and lot more moving parts. I do wish they had a much bigger snapshot of that plane so I could really see how people sat in the old aircraft. The low-resolution picture doesn’t do justice to the poster and the idea of that time. https://en.wikipedia.org/wiki/A_Sound_of_Thunder for an implementation of Butterfly effect. The Grandfather Paradox has been seen plenty of times in fantasy movies like the Back to the Future, Planet of the Apes and many others so will not go there. For the average joe today, s/he has to navigate security,check bags, get her/imself processed through passport control, get boarding pass, get to the gate on-time, get to the aircraft via bridge or bus, get to the seat, somehow make it through the ascent and use your IFE and get snacks and meals till it’s time to touch-down and re-do the whole drill again as many times you are connecting. I really admire Gunnar Wolf for the tenacity he showed for the x number of connections he made both ways. 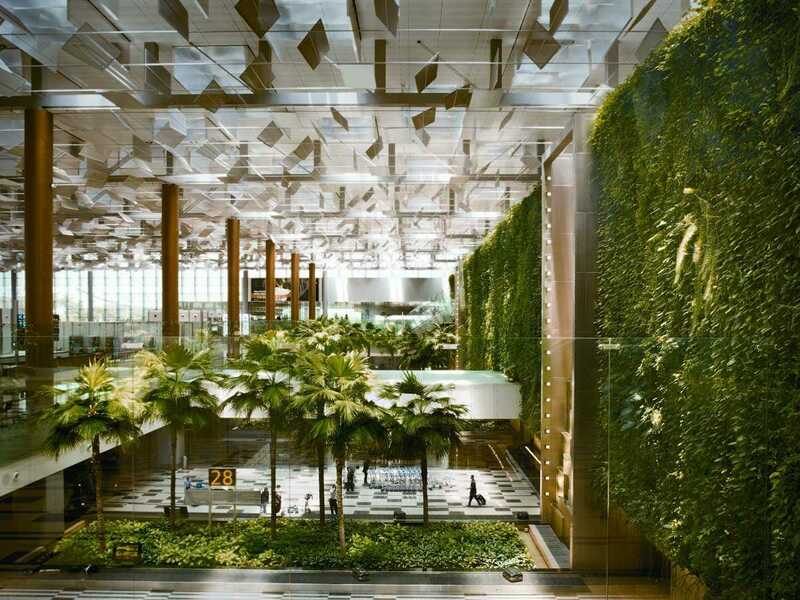 a. Changi International Airport – It is supposed to have shower amenities, has a movie theatre (+1), free tour of the city (+1) and of course as many Indians do go to Singapore as a destination in itself would have multiple vegetarian options (+2) so would be nice if I need to layover. b. Zurich Airport (ZRH) – “For passengers with an extended layover, Zurich Airport offers bicycle and inline-skate rentals and excursions to the Swiss Museum of Transport Lucerne.” – From business-insider.com. While I’m not much of a bicycle and inline-skating freak, if the Swiss Museum of Transport Lucerne is anything to the scale of Isiko Museum which I shared in a blog post sometime before, it would be worth by itself. I haven’t tried to find the site but can imagine, for e.g. if it has a full-scale model of a submarine or train engine, either steam-engines or ones like SNCF or any of the other bullet-trains and early aircraft, it would just blow my mind. When you are talking about transport, there is so much science, business, logistics etc. that I’m sure I’ll overload with information, photos and any trinkets they have to buy. Not a bad place to be if you need a layover. Just sink yourself in the bathhouse and see the bay and ships coming in. Luxury indeed. d. Munich Airport (MUC) – “A nearby visitors park features mini golf and a display of historic aircraft.” – Business-Insider.com . Now this would have made my list but I guess one would need a Schengen visa to access the visitors park but then if you have that, then why just stay in the Airport itself, could travel through Europe itself and have a longish stop-over. So all in all, it’s indeed a fascinating time to be alive, dreaming and just being. Till later. Observations of a Nouveau Traveller. Am currently in the visa no man’s land (application given and awaiting result) for debconf 2016 which means it is the perfect opportunity to share whatever I have been learning about South Africa and drawing parallels with India. This post is a continuation of the last blog post. It tries to show more areas where FOSS application can make a meaningful contribution to the society. Most of the ideas used/given here would be India specific but who knows if something similar exists somewhere else or not.